Martha Berry lets Mr. Davis know that whenever he is able to visit, she would love to have him. 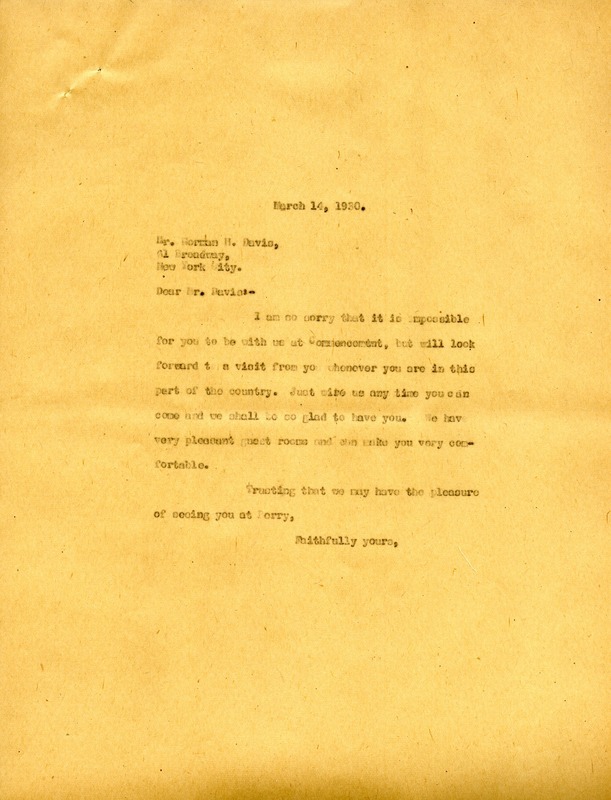 Martha Berry, “Letter from Martha Berry to Norman Davis.” Martha Berry Digital Archive. Eds. Schlitz, Stephanie A., Angela McCavera, et al. Mount Berry: Berry College, 2013. accessed April 21, 2019, https://mbda.berry.edu/items/show/12303.